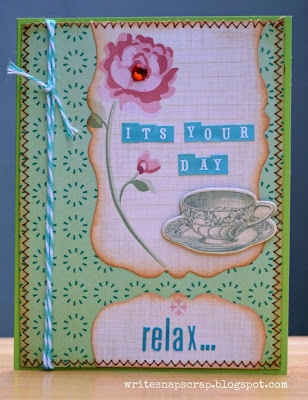 I've have a deep fondness for journaling spots and cards and collect them from many manufacturers. Cosmo Cricket's were the first I fell in love with. 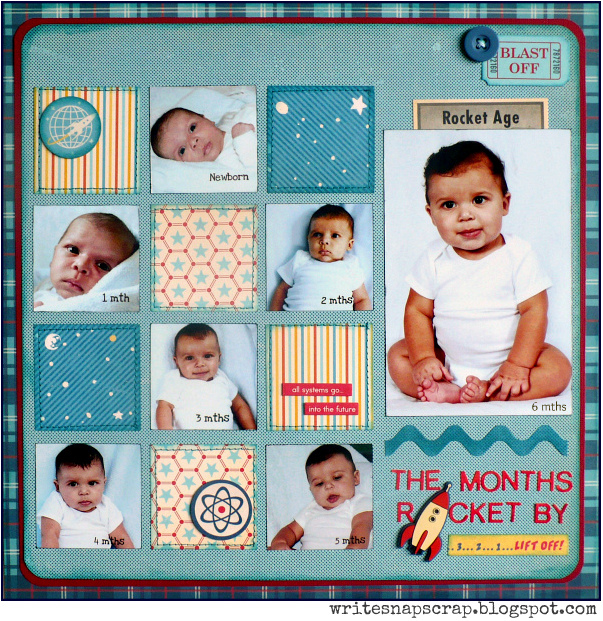 Cosmo Cricket used to sell its journaling cards, which they call elements, as a cut-apart paper sheet in the collections. Starting with the newest collections. Cosmo Cricket now sells its journaling spots as shaped element decks, which are super cute and easy to use. I used the Tea for Two element deck on both cards below. Some of the element cards have vintage images on them. I love this image of the little girls running outside to play and it immediately made me think of the old playground ditty: Say say oh playmate, Come out and play with me. And bring your dollies three. Climb up my apple tree....When I was a young girl, this was a favorite jump rope song and clap along song. I made this card for my dear friend who's having a birthday this week. I haven't seen her in a couple of months and am so looking forward to an playdate with her. 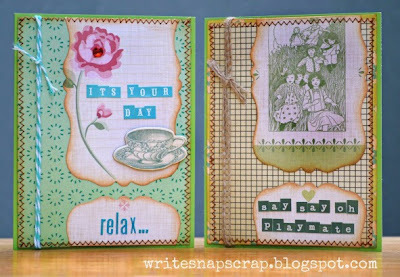 I made these cards as entries in last week's Cosmo Cricket journal card challenge. You can find all the entries here as well as information on the new challenge to use something old. 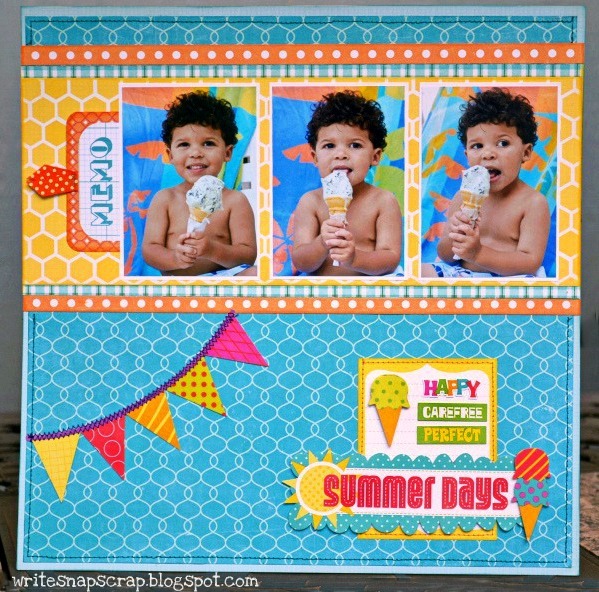 Today, I have a quick card to share with you: a bright happy beach ball card. 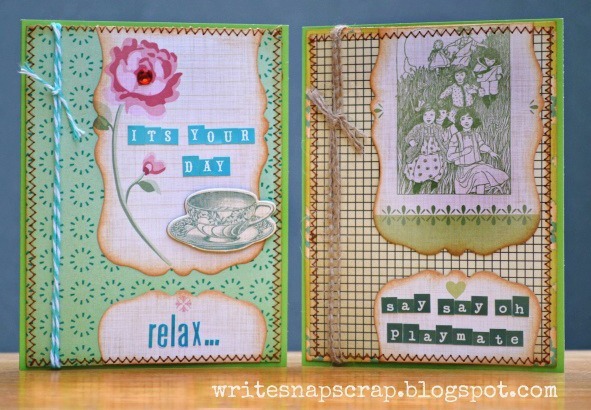 On the inside, I used the sentiment: It's your birthday! Have a ball! 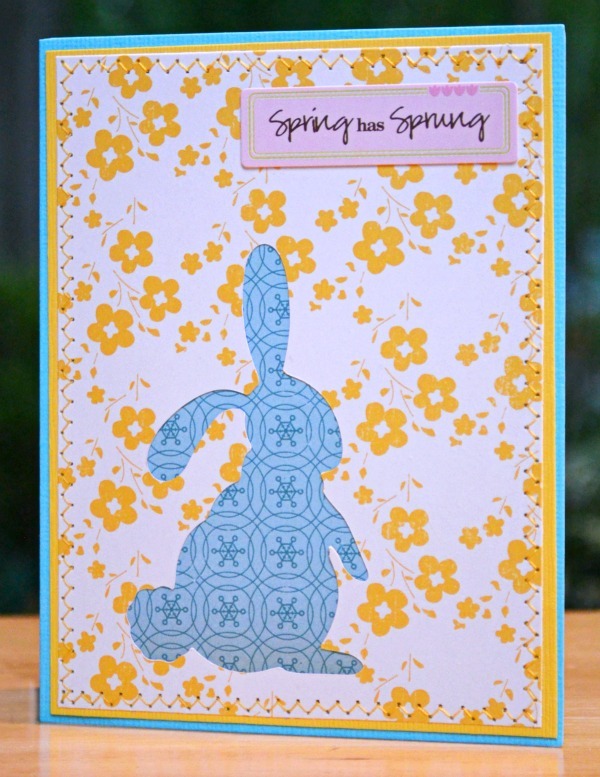 To make this card, I drew a ball shape on cardstock (tracing a small plate) and cut it out. Next, I gathered some coordinating paper scraps from Echo Park and cut them into pie-shaped wedgess, inking the edges. 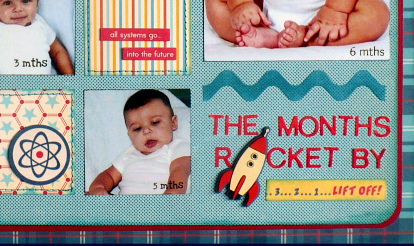 I laid them on the card front in a beach ball design, lightly tacked them down, then used a zig zag stitch between each panel for a quilted look. At top, I added a small cardstock circle and large stitched brad from Crate Paper. On the bottom right, I stitched on a label sticker from October Afternoon with brads, chipboard and letter stickers. Thanks for stopping by. I hope you have a warm and sunny weekend wherever you are. Last year when we went to the beach, we were sitting poolside and I thought I would go buy an ice cream cone to share with my little boy. I bought mint chocolate chip, Mommy’s favorite flavor. As it turns out, it was Cory’s favorite flavor too because once I gave him a lick of the cone, he wasn’t giving the ice cream back. No sirree, bob! I couldn’t very well deny my toddler his first ice cream cone, so I stood back and snapped some photos instead. This is the result: one happy toddler. 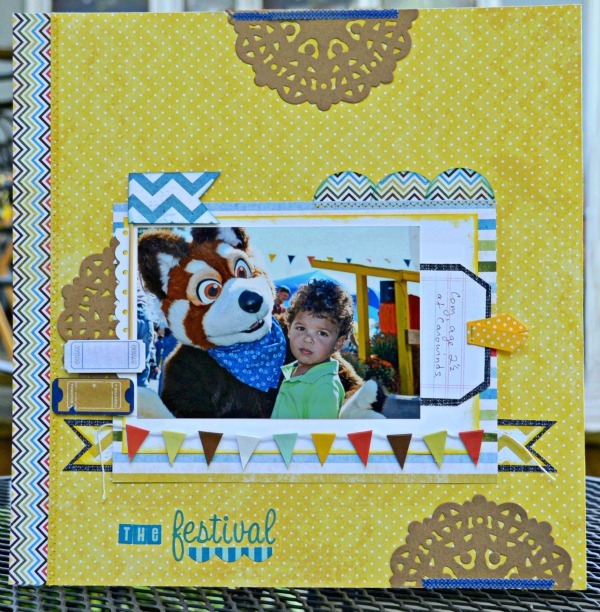 I used a mix of Echo Park patterned papers on this page: Happy Days, Victoria Gardens and Summer Days and tucked a journaling card under the photos. 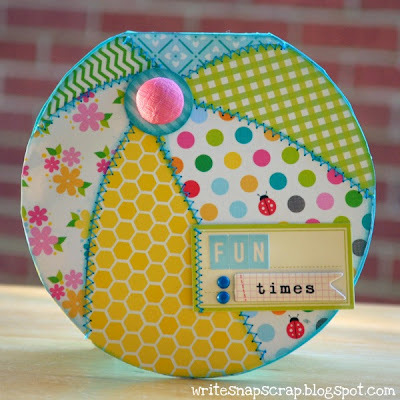 The Cosmo Cricket blog posted a challenge last week to use stitching on a project. This one was easy for me since I stitch on most projects. 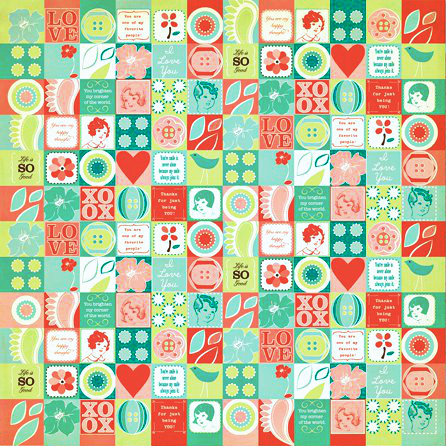 I had been holding on to this cute sheet of squares called “Ivy" from the Clementine collection because I knew immediately when I saw it that I would want to quilt the squares. The challenge gave me the perfect excuse. I cut a 5“ x5“ piece from the patterned paper and lightly tacked it onto a card base. I try to use as little adhesive as possible so I don’t gum up the needle. Then I stitched down and across each row and column to quilt the squares. It was super quick to do. To finish the card, I added a journaling spot from Cosmo Cricket’s Upcycle line and a chipboard butterfly from the Togetherness line. For the sentiment, I used a sticker and attached it to a toothpick to make a little flag. Fun, quick, easy. And I won the challenge to boot. It was random draw! LOL. And now I am the proud owner of all 4 chipboards from Cosmo Crickets CHA release. I love them! Cosmo Cricket has a new challenge this week, which coincidentally is to use chipbard on a project. Hmmm. You can find the details here. The challenge ends Sunday. 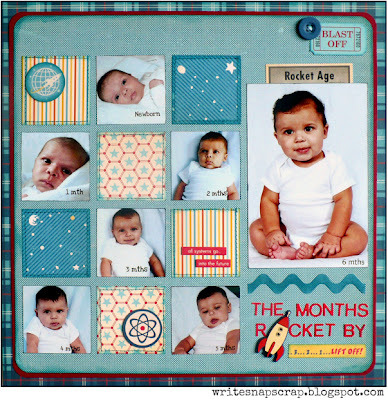 Like many scrapbookers, I began this hobby when I had a baby, or more accurately, when I adopted a baby, as a way to document my son’s early life, recording his photos and capturing his milestones. Along the way, I’ve found that, every once in awhile, I'd make a page about Mommy too. 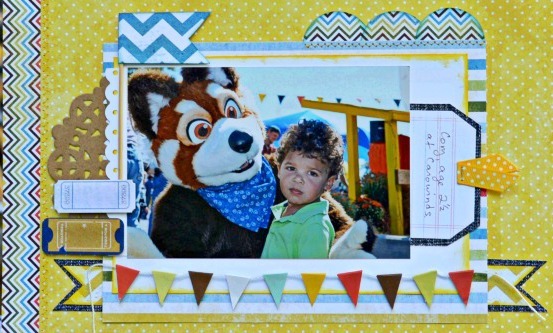 This particular layout, though, isn’t about me as a mommy. It’s just about me. Just random things about my life before my son came along. Twenty things, because that is a nice round number and because, well, that’s all that would fit on the page. 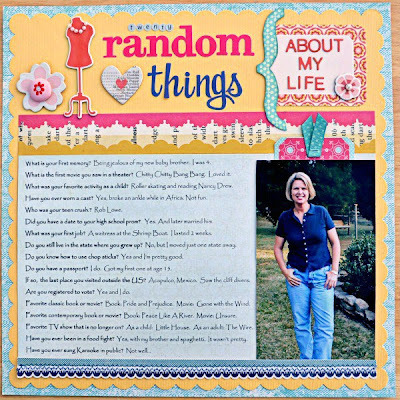 In truth, when I went to design the page, I needed to cut the last three items from the list to fit the journaling block so I added those three things to the tag under the photo. It's always a bit of a design challenge to fit in a lot of journaling. I used a mix of paper lines here: Cosmo Cricket, Little Yellow Bicycle, Crate Paper and October Afternoon. 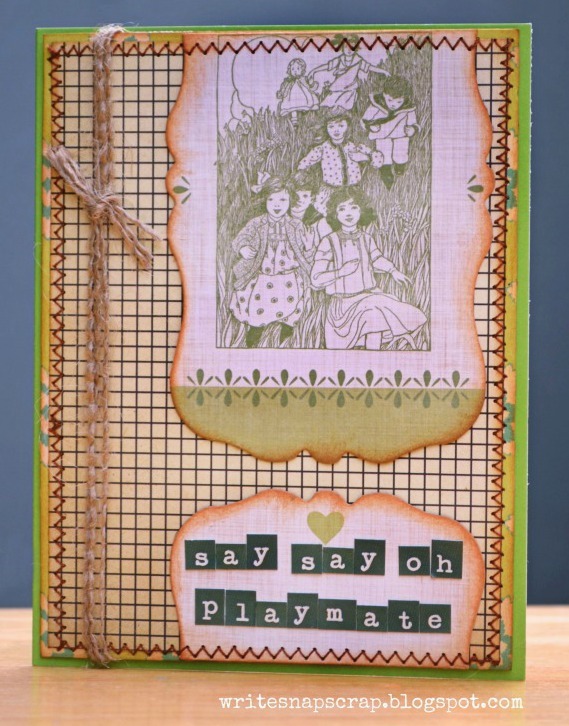 The border sticker is from Echo Park Paper and the alphas are from Bella Blvd , October Afternoon, Studio Calico and Basic Grey. Chipboard is American Crafts and Cosmo Cricket. How about you? Do you make layouts to capture you? If so, feel free to link your projects in the comments or tell a random fact about your life. I love getting ready for the holidays and making little treats (and eating a few.....). At Cory’s preschool, the teacher gives the kids a little Easter basket, so I wanted to be sure Cory had a gift for her in return. I made this bunny jar from a Valentine treat container I got at Michael’s on clearance in late February. I thought it would be pretty easy to re-purpose. I cut off the ends of the arrow and removed the heart gem, then attached the bunny face to the felt heart. The bunny face was easy to make. I started with large punched circles, inked the edges, and attached those to either side of the heart. 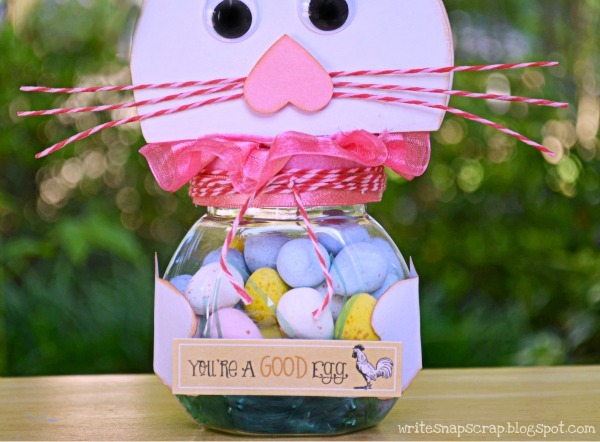 On the front side, I added googly eyes, a punched heart nose and twine whiskers. I used glue to stiffen the whiskers and put them aside to dry. While the whiskers were drying, I hand-cut ears and attached them, adding a chipboard flower. Then, on the jar itself, I added a sentiment from October Afternoon, “You’re a good egg,” and some paper paws to hold it. 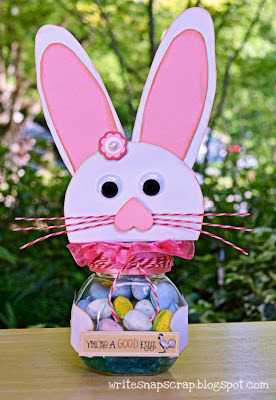 To finish, the project, I tucked a little Easter grass in the bottom of the jar, added Cadbury eggs and twisted on the Easter top. 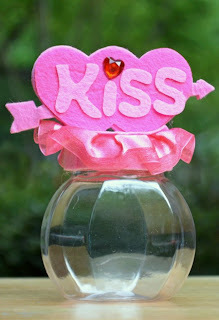 I ran pink ribbon around the lid, then circled extra twine on top of the ribbon. I used Trendy Twine's Cherry Cupcake, which is a fun mix of red and pink. Of course, I need a card to go with the treat. I made a simple one from October Afternoon patterned paper, using a negative die cut of a bunny and a sentiment sticker. Thank you for stopping by. I hope you all have a wonderful Easter holiday. I am really digging the popularity of chevrons and have seen this trendy pattern in so many patterned papers and embellishments. I love it. It’s so fun and versatile. The Paper Issues blog has hopped right on this bandwagon and is currently hosting a “Show Me Your Chevron” challenge, which runs through April 14. Paper Issues is giving away six terrific prize packs of new CHA releases for this challenge. 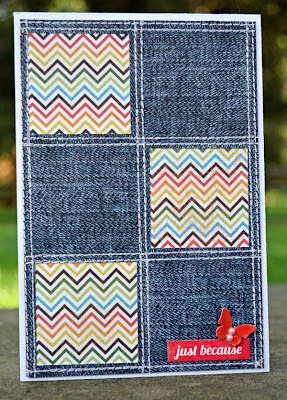 You can find all the details here including how to link up your own chevron project on the PI blog. I decided to play along using My Mind’s Eye chevron collection, On The Bright Side, which was included as part of the March kit at Birds of a Feather Kit Co. I thought the sunny, happy papers perfectly suited this photo of my toddler last year, enjoying a Fall festival. In the photo, there is a string of pennants in the background and I recreated the look beneath my photo with some small pennants. I also added a yellow chevron banner peeking out from both sides of the photo mat and added a blue chevron flag waving above for a festive feel. On the left, I stitched a small chevron border to the page and repeated the pattern in three half-circles above the photo mat. After I finished the layout, I used some of the My Mind's Eye leftovers to make a quick card. 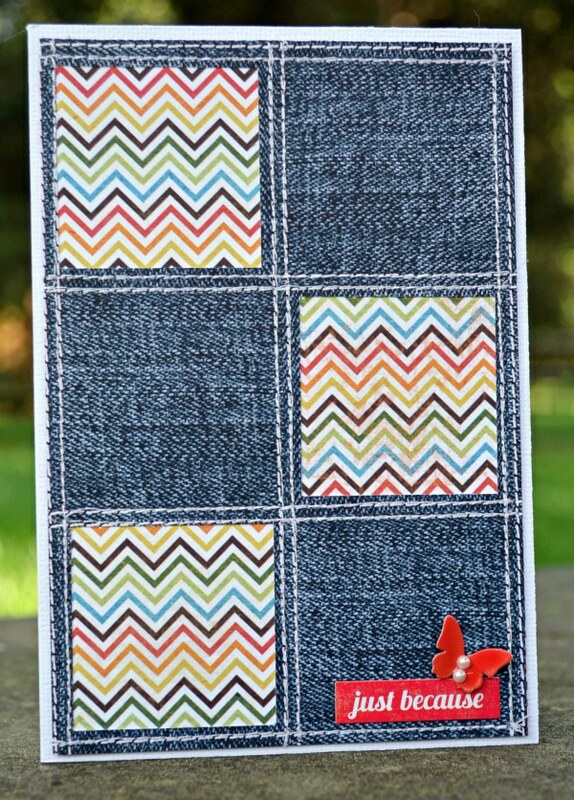 I punched out three squares in the denim paper, backed the negative punches with chevron, then machine stitched the two together, following the white doodled stitches on the patterned paper. 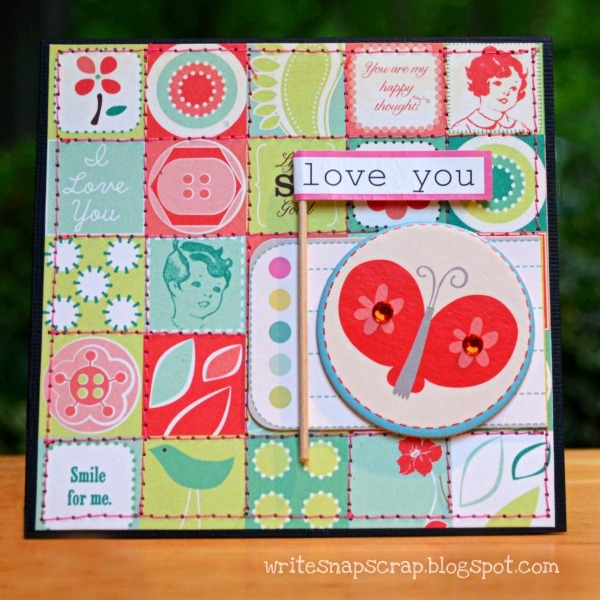 To complete the card, I added a sentiment sticker from Echo Park Paper and a butterfly die cut from Cosmo Cricket. A quick and simple card: my favorite kind!